Did you see the error? 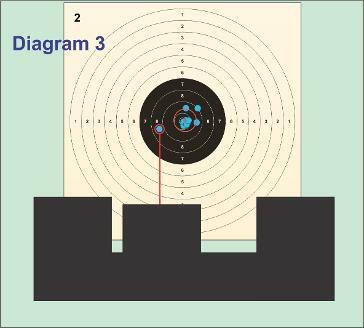 Recently I scanned a couple of random targets from the range and wondered if the shooter noticed the cause of the “bad” shots. I tracked the shooter down and started the interrogation. The shooters hold was reasonable this day and did not notice any real tremor or movement to account for the wide shots. What was apparent to the shooter, was there seemed to be body sway which may have accounted for the wider than normal shots. 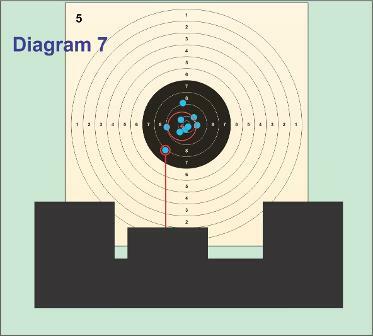 If the sights were still aligned and the sway caused movement out of the general holding area, then the shooter would have seen this due to the relationship between sights and target. Even though the target is “blurred” due to total focus on the front sight, the apparent movement would have been noticeable hence the shooter should have cancelled the shot. 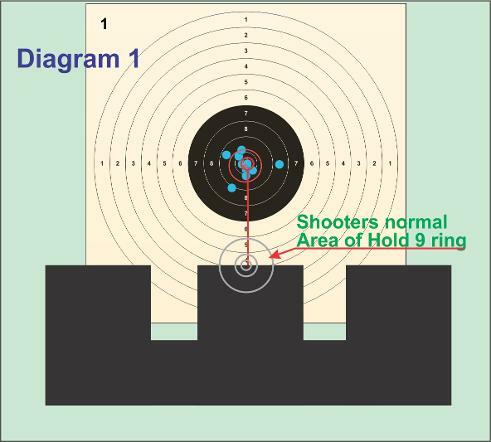 Diagram 1 shows the shooters holding area around the size of the 9 ring with an indication of the “spot” that would yield a central 10, given the trigger is pressed correctly and all things work well. 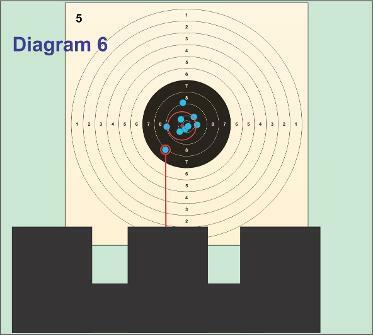 Diagrams 2, 4, & 6 show the sights being out of the shooters normal holding area but still aligned. This would have been an indicator for the shooter to cancel the shot. But with further “interrogation” the shooter spoke of those shots as not being as smooth as the rest..........ah, ha! A light bulb moment! 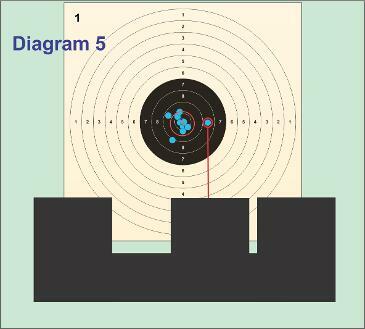 Not being as “smooth” as the others, could have been trigger related and perhaps the shooter may not have seen what the sights did as the shot broke which could lead to not really "seeing sights" through the shot. 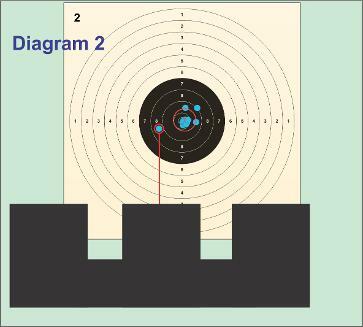 Seeing the sights up until the shot is about to break and then after shot release..........not seeing the actual shot break, is a common occurrence amongst shooters and can be identified by the inability to “call” shots. 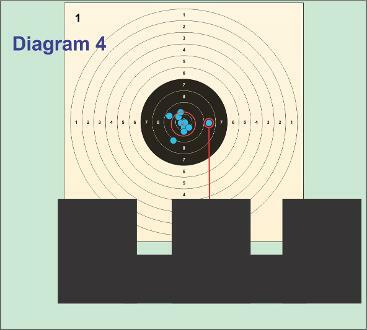 A possible remedy would be to extend the follow through time after the shot has gone off, continuing to see sights and trigger pressure. Diagrams 3, 5 & 7 may show what really happened on those shots. We cannot answer that question by simply sitting back here scanning targets, only the shooter can answer these questions. But as coaches we need to ask questions so the shooter understands the alternative and the possible real reason for some stray shots.